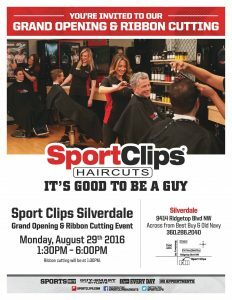 Sports-themed barber shop Sport Clips will open in Silverdale next week. The business is located at 9414 Ridgetop Blvd NW, across from Best Buy. 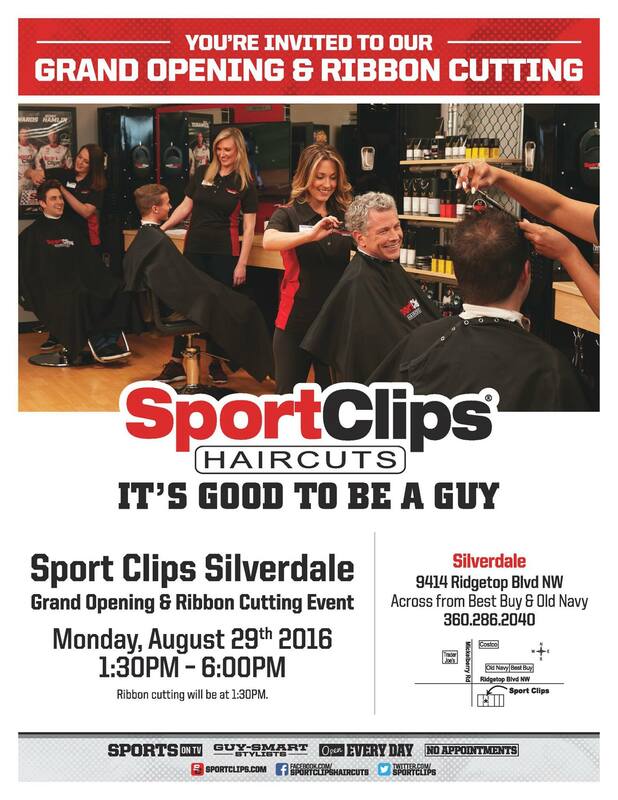 A ribbon cutting is scheduled for 1:30 p.m. Monday with a grand opening celebration continuing until 6. The Texas-based hair styling franchise caters to men and boys. The company has more than 1,500 locations. The shops feature lots of TV screens tuned to sports channels. Walk-ins are welcome. Click the flyer to the right or check the Facebook page for more information.